الخيار الأفضل للحصول على المتعة والاسترخاء, Ventura Inn & Suites Hamilton يقع في منطقة Hamilton East في هاملتون. يمكن من هنا للضيوف الاستمتاع بسهولة الوصول إلى كل ما تقدمه هذه المدينة النابضة بالحياة. يوفر الفندق بفضل موقعة الجيد وصولاً سهلاً إلى أهم معالم المدينة.
. إن الخدمات التي يقدمها Ventura Inn & Suites Hamilton تضمن للنزلاء إقامة مريحة. يقدم الفندق فرصة للاستمتاع بشريحة واسعة من الخدمات بما فيها: واي فاي مجاني في جميع الغرف, مكتب الاستقبال على مدار الساعة, مرافق مخصصة لذوي الاحتياجات الخاصة, تخزين الأمتعة, واي فاي في المناطق العامة . 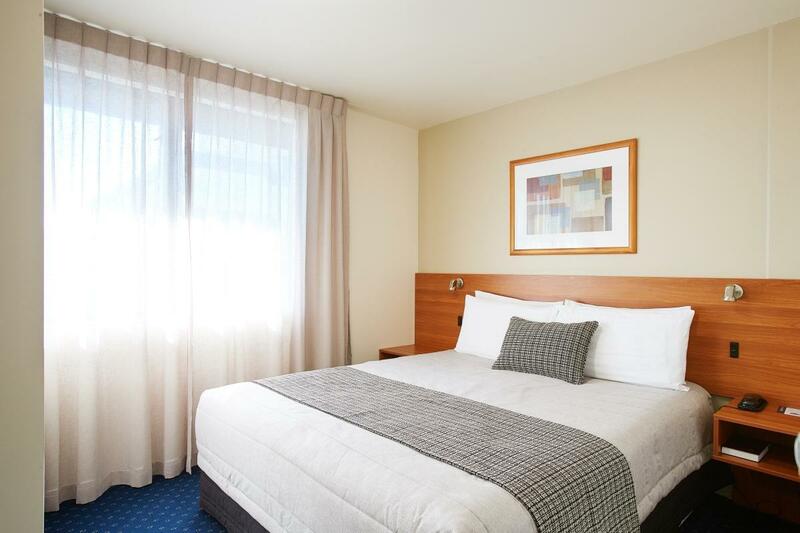 تنعكس أجواء Ventura Inn & Suites Hamilton في غرف الضيوف.تلفزيون بشاشة مسطحة, سجاد, بياضات, مرآة, مناشف هي بعض الميزات الموجود في العديد من الغرف. يمكنك طلب اللائحة الكاملة للخدمات في الفندق ومن بينها مركز للياقة البدنية, حمام سباحة خارجي. اكتشف مزيجاً ساحراً من الخدمة الاحترافية والخيارات الواسعة من وسائل الراحة والمتعة في Ventura Inn & Suites Hamilton. Arrived to early at just after 12 ....room was ready and checked in by 12:15..... Free breakfast and cold filtered water on tap to refill you water bottles was a bonus. Room size is spacious. Clean, neat and tidy. Friendly staff. Swimming pool is a bit small, pond size. If complementary breakfast can be enriched with egg and some ham or bacon, that would make a different. We arrived late around 8pm. The location is easy to locate and it’s near to Super markets and eateries. The room is clean and bed is comfortable. While the continental breakfast included is good enough. 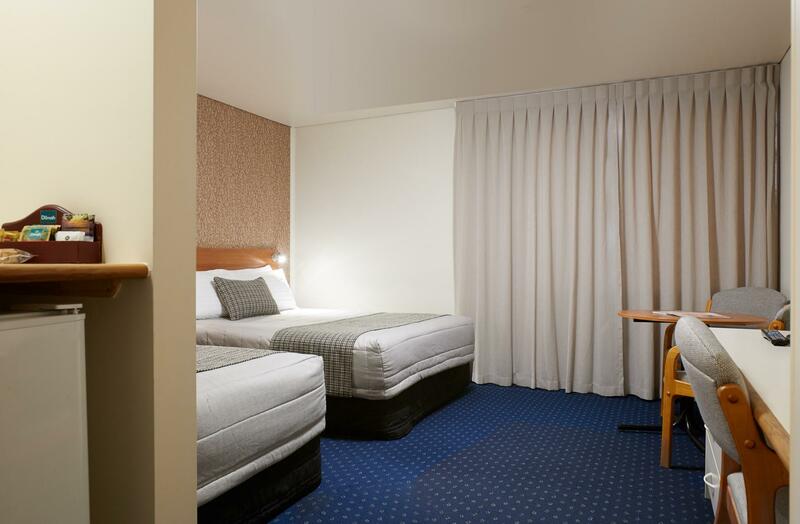 The room was clean and adequate for a one night stay. Breakfast was a help yourself affair in the lobby. The best part about our stay were the staff. Everyone we encountered including cleaning staff were very friendly and helpful. There was a nice atmosphere. The property was in a good location, it was very near to the bars and restaurants. 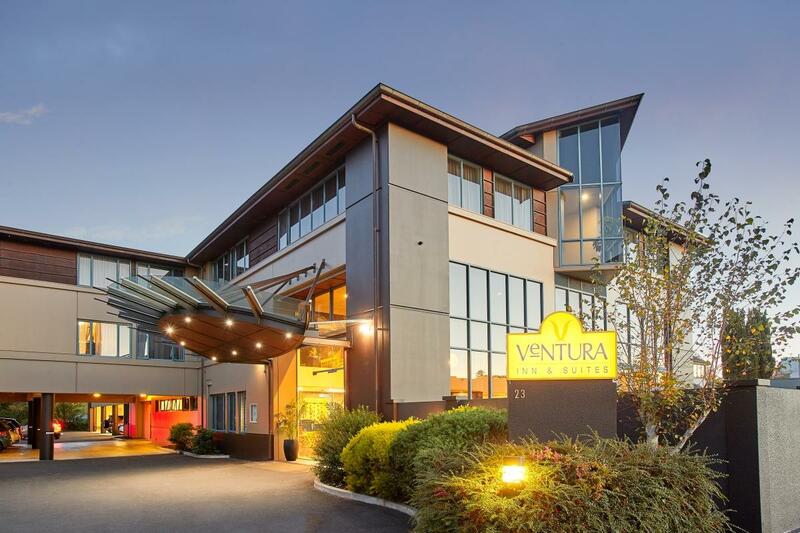 I have been staying at the Ventura for a number of years now because it is central-walking distance to all amenties,easy access and on site parking and always very clean and very helpful staff.Will keep on utilising this facility in the future. Convenient nearby a countdown supermarket and is a short drive away from the main cities and attraction. Staff were friendly and overall stay was good. Breakfast could have some better choice. Good friendly service , as i walked by any staff member they greeted me and wished me a good day/night good help from reception helped me with restaurants to go to , couldn’t fault the hotel , good wifi for guests normally you would only get a couple of GB but loved the fact we had unlimited especially with a young child who loves certain programmes on internet , awesome space in the bathrooms and good water pressure , comfortable beds, clean and tidy units ! thank you ventura for an awesome stay we will definitely be back in the near future ! Reception staffs very nice & helpful ( special thanks - night shift reception gentleman). Located close to everything you would want to see if you’re visiting in town. Wifi is pretty good, and so is the other services like laundry. Only downside is breakfast isnt too impressive. 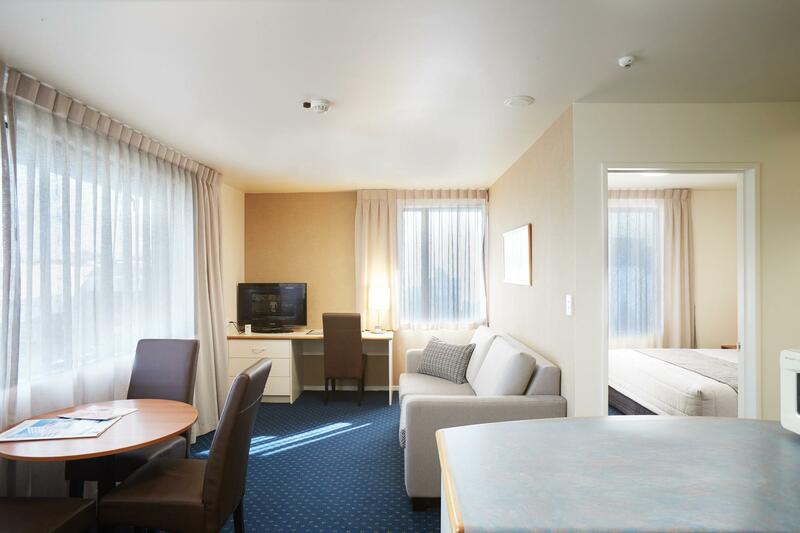 Nice hotel, well located with good facilities. Staff was great friendly and happy to help. Great location, friendly staff, good size of room and clean. Only stay there for a night, so couldn't review that much, but I can say it's pretty clean and it's near to the supermarket. Also they provide free parking! easy to book over the net at a cheaper price. breakfast included along with parking which is a real advantage being very close to the cbd. you are not too close to anything major which cuts down the noise level of a big city. we selected this hotel for the price but were surprised by its location. the room was clean and tidy with a standard/basic breakfast. it is what you should expect from a motel. the surprise was the number of bars serving great food within a 5 minute walk. this was also the key location for the fanzone during the rugby world cup. 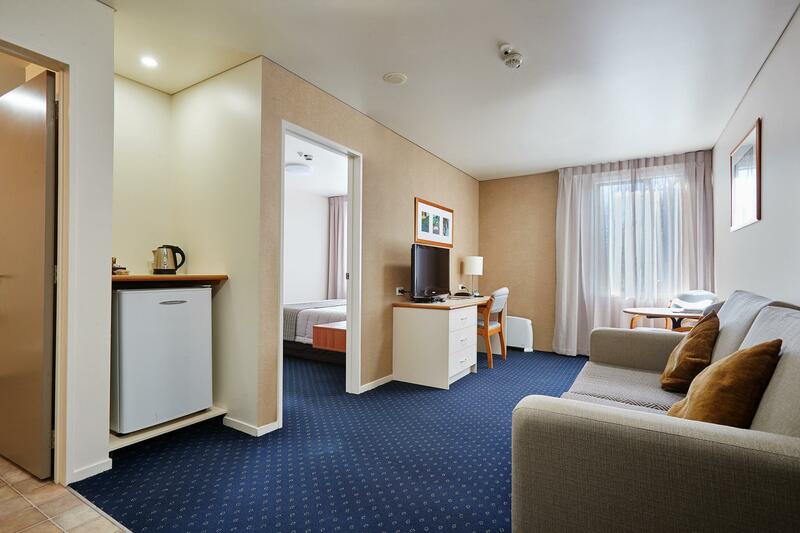 it you want standard accommodation without the frills so you can spend your money on other things then this is the motel for you. We liked the closeness to town where we could walk. Our room was dark and small but very clean. The bathroom was big and clean. If we was staying longer than one night it would have been to small. Friendly service & obliging. Some light background music at breakfast time would be nice.